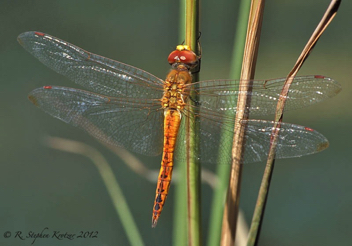 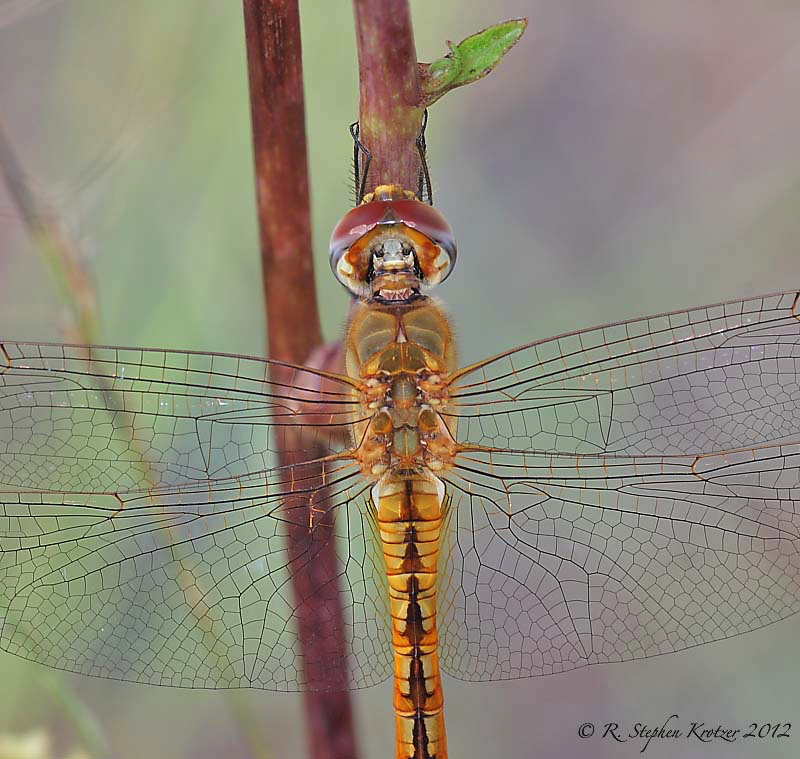 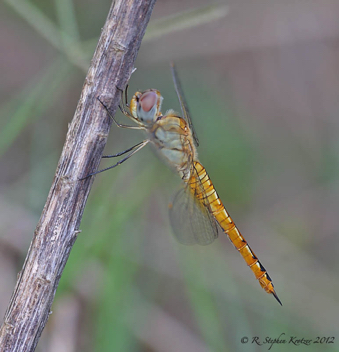 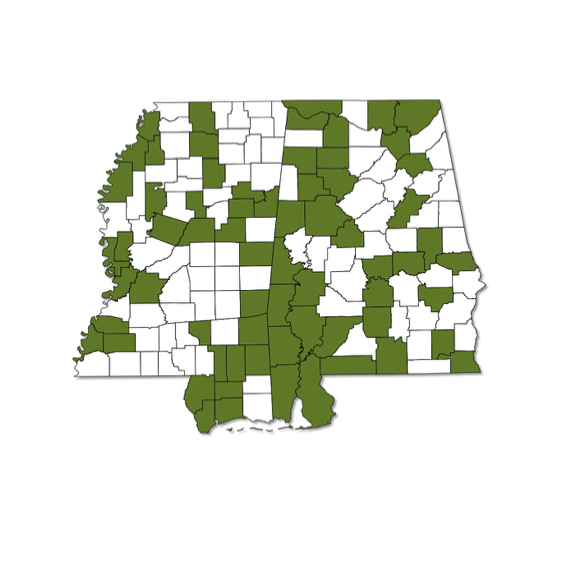 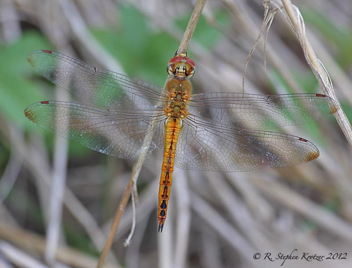 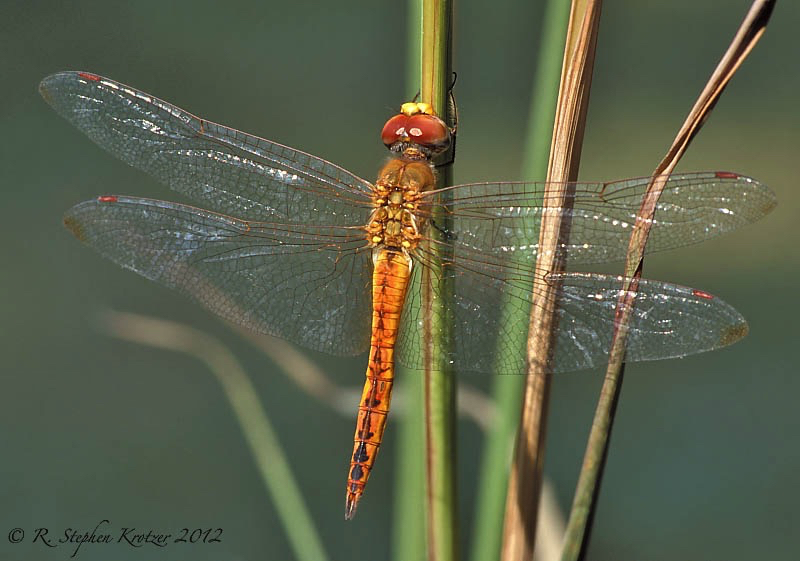 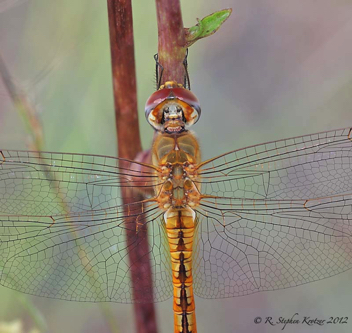 Pantala flavescens is true to its common name; the migratory adults are strong fliers and may be found anywhere in Alabama or Mississippi, at water or far from it. 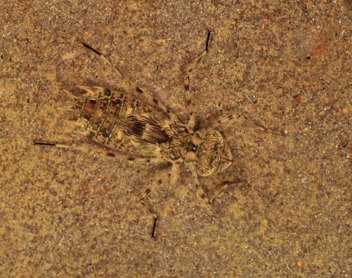 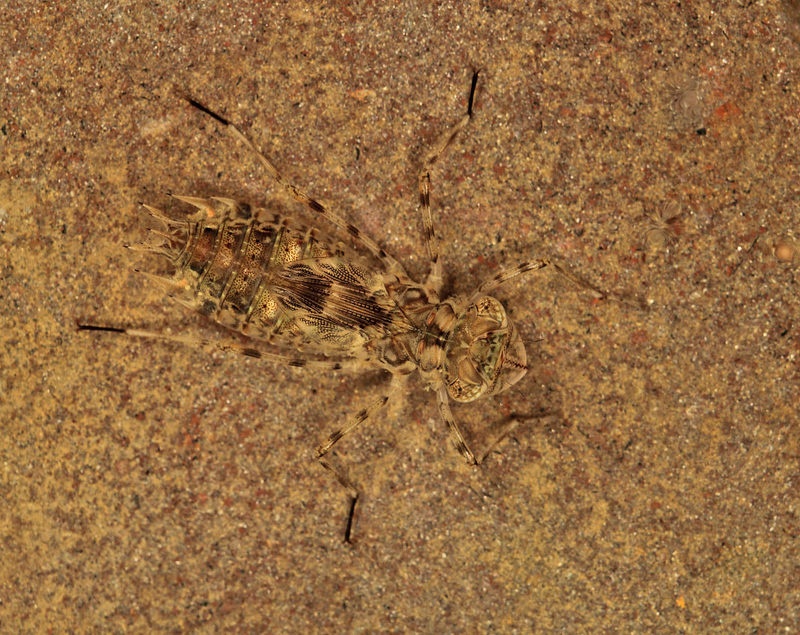 The nymphs of this pioneer species develop very quickly and so are ideally adapted for newly created or temporary lentic habitats, including roadside ditches, puddles, and even artificial ponds and fountains; occasionally found in brackish water. 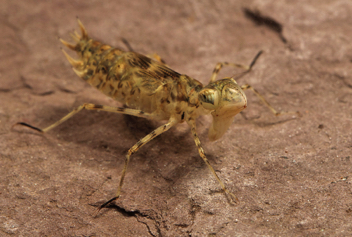 Swarms of recently hatched individuals occasionally found communally roosting in large numbers.